Jacqueline Victoria Patterson-Good was born January 8th, 1963 to Robert and Barbara Jean Patterson in Middletown, Ohio. She transitioned from this earthly life October 15th, 2018. Jackie attended Middletown Public Schools. She was baptized at Bethlehem Temple Apostolic Church, and continued her Christian walk at Greater Faith Baptist Church where she sang in the choir. Later she became a dedicated member at United Missionary Baptist Church. We all knew her as Jackie with her beautiful and friendly personality. Jackie never me a stranger. Everyone she came into contact with was treated with so much love and kindness. 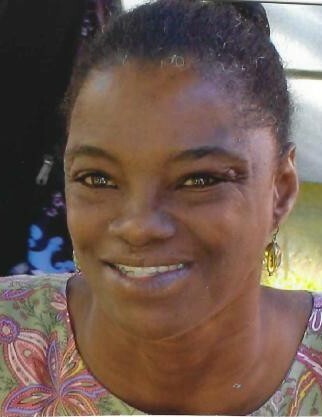 Jackie moved to Oakland, California where she lived and flourished with her 2 sons. She acquired her cosmetology license and worked a Nappy Cutz for two years. She returned to Ohio in 1995 when God blessed with her pride and joy Imani. Jackie enjoyed visiting family, friends and neighbors. She loved surprising her kids at school with snacks, joining them for field days and school trips. She loved cheering on her daughter while she participated in many sports and praise danced. She always loved camping, attending family events and barbequing with her children. She was preceded in death by her mother, father, two brothers, John E. Burg, Charles (Tonk) Patterson, and one sister Dorothy Marie Brooks. Jackie leaves to cherish her memory 2 sons: Charles and Howard Patterson, and one daughter Imani Patterson, nine grandchildren: Mya, Aryana, Mia, Mariah, Jayden, Markel, Kaylah, Malcolm, and Rayia; two brothers: Robert, Jr (Patsy), and Lawrence(Carolyn) of Montgomery, Alabama; two sisters: Jennifer (William) of Middletown, Ohio, and Julia of Springhill, Louisiana; tow devoted aunts Roberta Riley and Ann Burg; one devoted nephew John E. Burg, Jr.; and one devoted friend Theresa Hart. She also leaves to cherish her memory a host of special nieces, nephews, cousins, other relatives and many friends.